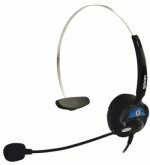 Snom Accessories- Snom Wired Headsets, Wireless Headsets for Snom Phones, Snom Wireless Headset Adapter, Snom Extension Keypad for Snom 320, Snom 360 and Snom 370. The Snom PA1 VoIP Public Announcement System can be used as an extension of any public address system, allowing you to connect a loud speaker or PA amplifier up as an extension to a VoIP system. You can connect a wired headset to all Snom phones, achieving productivity gains because you can use your hands while talking on the phone. The NEW Snom wireless headset adapter. Designed for maximum productivity in demanding environments. Now works for the entire Snom range - 3xx and 8xx Series. Connect up to three extension keypad to a Snom 3xx phone (not Snom 300). Each keypad has 42 programmable keys.